For nearly thirty years, Crimewatch has been a regular part of the schedule of the BBC’s main channel, BBC1. By using video reconstructions of unsolved crimes, and accepting help and advice from the UK’s police forces, it has contributed to the conviction of over one hundred major criminals, including murderers and rapists. These days, Crimewatch no longer has a monthly slot, but it can still pull in a large audience. The October 14th edition, including a 25-minute report on the mysterious disappearance of 3-year-old Madeleine McCann during a family holiday in Portugal six years ago, attracted over 6.5 million viewers, along with a mass of publicity before and after transmission. The occasion of the programme was the decision by Scotland Yard to present the main findings of its renewed efforts – involving a 37-strong investigative team – to find the child, prompted by an assurance given by Prime Minister David Cameron to Madeleine’s parents, Gerry and Kate, that the closing of the Portuguese investigation into the case would not be allowed to be the final word. The programme item was curiously inept. Real footage of the McCann family was constantly intercut with shots of (not very) lookalikes: confusing and distracting at the same time. Towards the end, there was reference to a search for a number of long-haired men who had been seen hanging around the apartment block in the holiday resort: yet the only video the “reconstruction” managed to offer was of several men with close-cropped heads. Much of the publicity the programme attracted centred on new electronic photofits that featured prominently in the programme. They had been generated in the course of interviews with an Irish family, the Smiths, who had also been on holiday in the Praia da Luz resort where the McCanns and some friends of theirs had gathered in April 2007. Attentive viewers might have been puzzled as to how the Irish witnesses were able to provide such detailed images, six years after the event. We were not told. The interview with the detective leading the Scotland Yard inquiry did not touch on the subject. The next day, October 15th, the Daily Express – part of the newspaper group owned by Richard Desmond which has paid out over half a million pounds to the McCanns in compensation for libellous stories about Madeleine’s disappearance – noted that these photofits were actually five years old, but had never been released publicly. On October 27th, we learned more. The Sunday Times claimed that the photofits had actually been compiled in 2008 by a team of private investigators hired by the Find Madeleine Fund, which had been set up by the McCanns. The investigation had cost £500,000, and had been led by Henri Exton, a former head of MI5 undercover operations. But the company Exton had worked for, Oakley International, had fallen out with the McCanns. Ostensibly, the dispute was over money, but the McCanns also imposed a ban on any publicising of the contents of the Exton report. According to the Sunday Times, it had contained criticisms of the evidence provided by the friends of the McCanns, and by the McCanns themselves, even raising the possibility that Madeleine might have died after wandering out of the family’s rented apartment through unsecured doors. Over the years, the McCanns have issued seven different photofits, including one provided by their friend Jane Tanner, who thought she saw a man carrying a child at about 9.15 on the evening Madeleine disappeared. Exton discounted this sighting, and thought the Smith sighting, at about 10 pm, was the most significant. 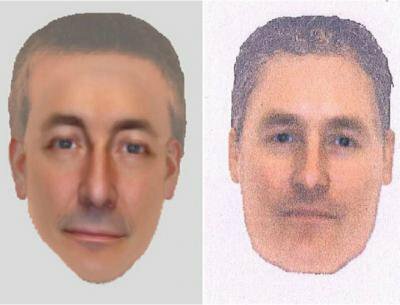 Yet the McCanns, despite passionately pursuing the quest to find their lost child, chose never to issue the Smith photofit. The Scotland Yard team has now satisfied itself that the Tanner sighting can be excluded, agrees that the 10 pm timeline is the correct one and regards the Smith photofit as the most promising lead: five years after the McCanns themselves suppressed all this information, according to the Sunday Times. Whatever their reasons for doing so, the McCanns are not accountable to the public, despite Gerry’s regular lectures on how the press in general should behave, and why a Royal Charter version of the Leveson recommendations is needed to keep newspapers honest and straightforward in their reporting. The story in the Sunday Times also indicated that the Exton report included a section in which the father of the Smith family, Martin Smith, noted that his observation of how Gerry McCann used to carry Madeleine on his shoulder reminded him of the man he saw carrying a child at 10 pm on the night Madeleine disappeared. He does not think the man actually was Gerry, but it is not hard to work out why the leader of the Portuguese inquiry concluded that the McCanns were implicated in the disappearance. The McCanns are suing him for libel, and both the Portuguese police and Scotland Yard are satisfied they had no part in the disappearance, but fear of inciting more press speculation in the UK may explain the decision to suppress the entire Oakley report. It is hard to believe that the Crimewatch team was ignorant of this history. It would have been incredibly unprofessional of them not even to ask how and when Scotland Yard had obtained the “new” photofits. The programme referred to the Irish family, and a “fresh” investigation, but the absence of any reference to “new” photofits strongly suggests that Crimewatch knew the background perfectly well. Does this matter? Crimewatch occupies an uneasy space between entertainment and information. Its brief is undoubtedly one of public service, but it is not in the business of journalism. No journalist would go out of his way to mislead the public in the way this edition of Crimewatch managed to do. The essence of Crimewatch is complicity: close co-operation with the police and the purported victims of crime, to the point of eliminating anything awkward that might get in the way of that joint endeavour. The Sunday Times quoted a source close to the McCanns as saying that release of the original Oakley investigation might have distracted the public from their objective of finding their child. Yet the bottom line of this story is that the parents deliberately withheld, for five years, the photofits that Scotland Yard now says are the most important evidence in the search for the supposed culprits. For any journalist, that would have been at least as important a fact to reveal to the public as the photofits themselves. Yet the most important area of journalism in the UK – the BBC, which accounts for over 60% of all news consumption – has remained silent on the revelations in the Sunday Times. Even the BBC website, with over 900 stories related to the disappearance over the years, has not found room for that startling information (though you can find links to the Daily Star’s website, which repeated much of the Sunday Times material on October 28th). It would be dismaying if some kind of misguided loyalty to the non-journalists at Crimewatch was inhibiting the 8,000 BBC staff who work in its news division. It is, of course, just possible that Crimewatch was itself duped by the McCanns: but I doubt it. Instead, the editor chose to join the McCanns in trying to dupe the public. Neither option shows the BBC in a good light. Whatever the failings over the two Newsnight items – the untransmitted one on Jimmy Savile, the transmitted one that libelled Lord McAlpine – no-one can argue that there was any definite intention to mislead the public. Sadly, the same cannot be said of October’s Crimewatch.